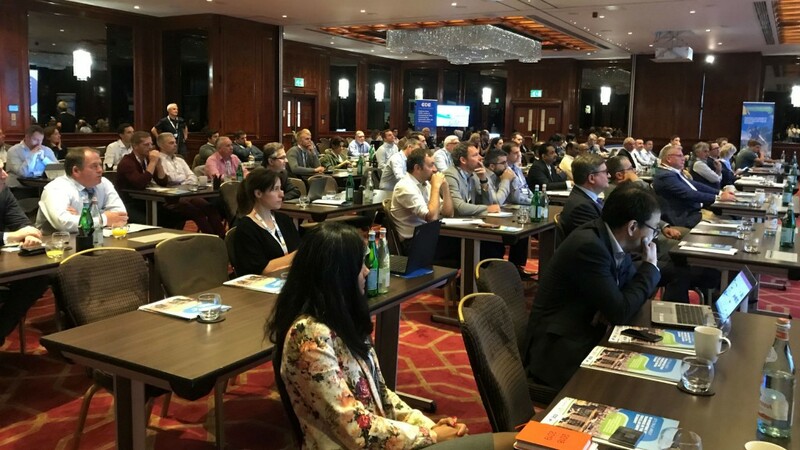 Delegates to the Circular Driven Economy symposium heard from a variety of speakers on topics focused on improved recovery and reuse of C&D materials, among others. The core theme of the symposium was the opportunities that exist for recovered C&D waste material. With construction and demolition waste being the largest waste stream by volume in the EU, representing 1/3 of all waste produced, and targets for EU countries to recycle 70% of C&D waste by 2020, recycling was high on the agenda for discussion. In many countries around the world the production of aggregates material is currently done in a linear process. This means the natural resource is extracted, used and disposed. There is little thought given to re-using the resource again in the future. By adopting the circular economy approach, we can recycle and re-use aggregate products that would otherwise be seen as a waste product. Not only will this benefit future generations by prolonging the natural resources that exist around the world, it will also boost the environment as less C&D waste material will be sent to landfill sites. Egil Velde from Velde and Professor Marios Soutsos from Queen's University Belfast presented some excellent examples of the circular economy in action in the construction industry. By embracing new technologies and spotting the opportunities in recycled aggregates, we can surpass the EU target to recycle 70% of C&D waste. To do this, we must however move from a linear economy to a circular economy. The keynote speaker for the symposium was Vincent Basuyau, Sustainable Construction Policy Officer at the European Commission. During his keynote Vincent shared some great insights into the European agenda for construction and demolition waste. As well as reinforcing the need to think circular rather than linear, Vincent looked at some of the main challenges that we are faced with as we work towards recycling 70% of C&D waste. The biggest challenge in the short term is the diversion of C&D waste from landfill. As already highlighted, C&D waste accounts for 1/3 of all waste in the EU, so the big focus for EU countries over the coming months and years needs to be reducing this number and diverting from landfill. Waste recycling plants like Thompsons and the recently opened Brewster Bros. in Scotland, The Sheehan Group in England and Velde in Norway are leading the way when it comes to collecting, sorting and recycling this waste material. As European countries start to work towards the target of recycling 70% of C&D waste, naturally we will start to identify best practices and new opportunities for C&D waste. Only by increasing the volume of C&D waste material that is recycled, will we start to identify more opportunities for this material, and start to improve the negative perceptions that some in the industry have towards recycled aggregates. It is also worth looking at other countries that are leading the way in the recycling of C&D waste, Japan being one such example as they currently recycle around 94% of C&D waste. Perhaps the biggest challenge facing us all is the need to change the mindset of many in the industry and educate future generations on the value of recycled aggregates. This means approaching projects with a design for deconstruction (DfD) mentality, ensuring that all construction projects have an ongoing life-cycle that includes the re-use of materials at the end of a structure's life. This will ensure a more sustainable approach to construction projects where recycling is a key component and waste is no longer part of the thought process. We need to avoid future waste generations. As Mark Tomlinson from LafargeHolcim highlighted during his presentation, most construction recycling today takes place in city centres. This presents opportunities for recycled aggregates production as many primary aggregate suppliers are located outside cities. For construction companies working on projects in large urban areas, considering recycled aggregates for non-structural elements of a project can provide social, economic and environmental benefits, and must be considered more. While the opportunities exist, market conditions must be in place to ensure recycled aggregates can become a viable solution for urban construction projects. Having the right environmental regulations in place will also help to increase the demand for recycled aggregates. As well as having the right regulations in place, C&D waste recycling facilities must be located closer to urban consumption centres while the recycled aggregates themselves must have a cost advantage over primary aggregates. The Urban Challenge was further highlighted by Professor Marios Soutsos who used the city of Liverpool in England as an example of both the challenges and opportunities that exist in large cities. With no quarries near to the city, construction materials can often travel over a long distance and sometimes from outside the UK to be used in projects in the city. This can mean a higher price is paid on aggregates, while the longer journey for haulage companies will have an environmental impact. The solution to this is the urban quarry - demolished buildings that present an opportunity for valuable recycled aggregates. One such organisation that Marios has experience working with during his time at The University of Liverpool is Grundy & Co based in Widnes just outside Liverpool. Grundy & Co produce several high quality recycled aggregates products that are used on many construction projects in and around large urban areas. Many of these products have come from demolition projects in urban areas, thus creating the urban quarry in areas where there is no access to primary aggregates. After water, sand is the most used resource on the planet, but it is a resource that will eventually run out. Therefore, we need to find ways to improve how we use this resource. One speaker who certainly struck a chord with many in the room was Kiran Pereira from SandStories.org. Kiran highlighted the looming sand crisis and helped to set the scene for a great day of discussion around the solutions for such a crisis. The rate at which sand and aggregates is currently being used to help met the demand of urban projects is staggering. Kiran highlighted that China had used more cement in 3 years (from 2011-2013) than the U.S did in the entire 20th Century). As urbanisation continues at a rapid pace, it's vitally important that we consider alternative resources like recycled aggregates for construction projects. Kiran shared the following video with the delegates and it was a great way to start the symposium. It's also the perfect way to finish this recap of the event, and a reminder that we only have one planet and we have a responsibility to leave it in the best shape we can for future generations. Recycled aggregates from C&D waste present opportunities to transform waste into resource. Let's explore a new world of resource with C&D waste recycling.